Hi, friends! 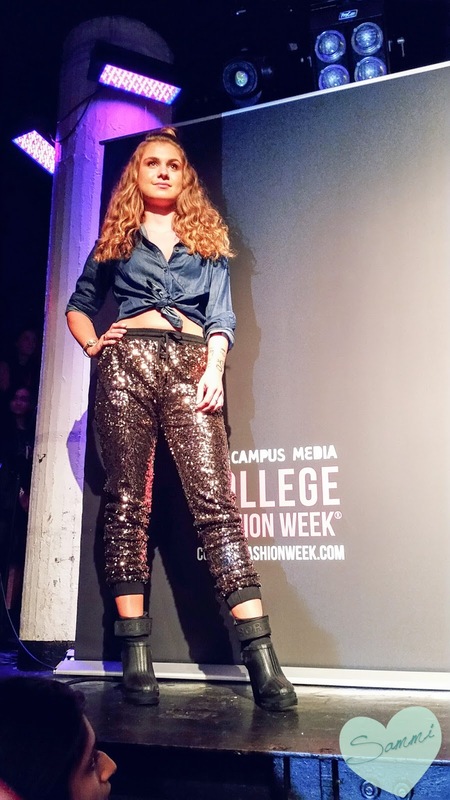 Today I wanted to talk to you about College Fashion Week (CFW). If you follow me on Instagram, you'll know I was invited as a VIP to the New York show this last weekend. 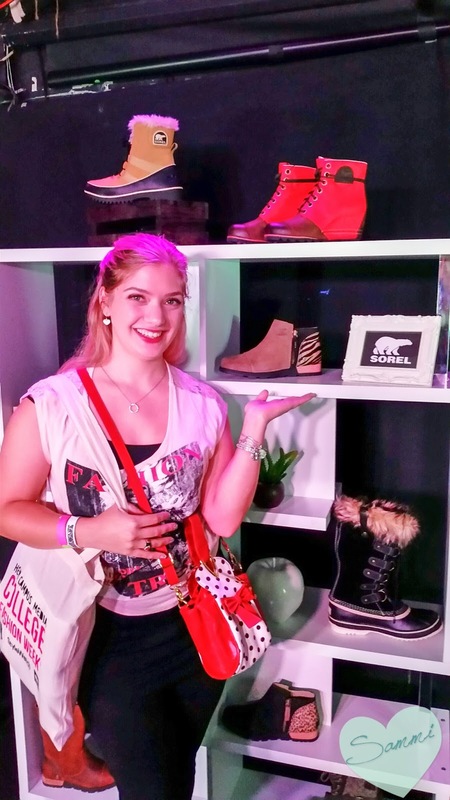 I had a great time, checking out all of the booths, performances, and of course, the fashion. I wanted to give you a quick overview of what went down, because the CFW Tour isn't over yet! They're going to be in Washington D.C. next Saturday, and Atlanta, GA the weekend after next. So if you like what you see here, you can get your tickets before it's too late! Or, if you're based in Boston or NY, you can figure out if you'd want to go next year. The show was held at Santos Party House near Chinatown. I got there around 5:30, and it's a good thing I did-- by 6pm, the line wrapped around the block! They started checking people in at 6pm, so if you were in the back, it might have taken you a little while to enter. Thankfully, it wasn't chilly out! 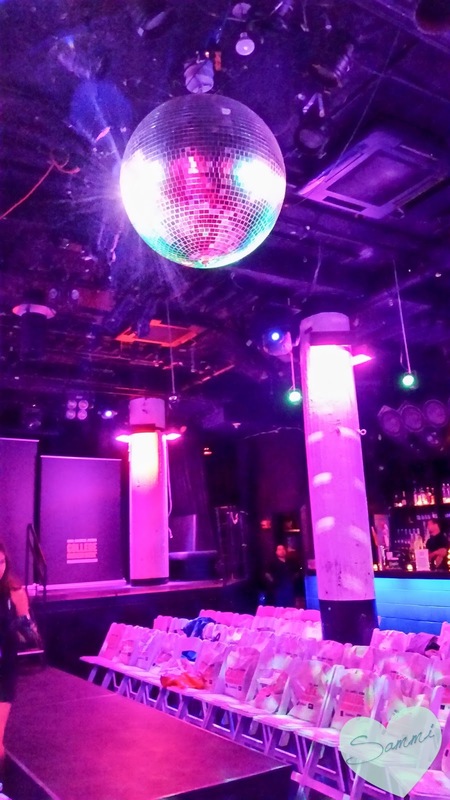 The whole basement of the Party House was filled with sponsors and brands that were backing the event. It was pretty packed, but not unmanageable. 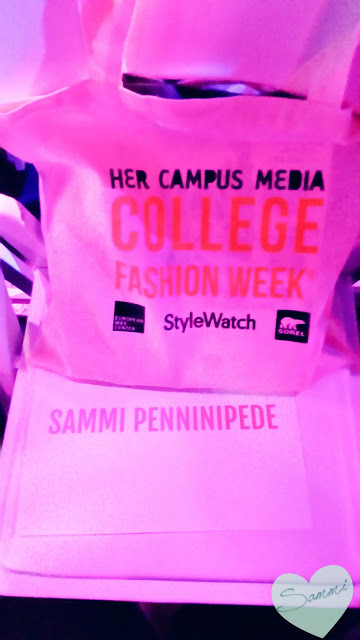 This year, College Fashion Week worked with Forever 21, Sorel, Milani, Jamberry, European Wax Center, Monthly Gift, Essentia, and the Little Words Project. This was also when we got our goody bags. For non-VIPs, they were given at the door, but I found mine on my seat. A reserve sign with my name was also there, and it kind of made me feel like a superstar. The swag this year was AWESOME. 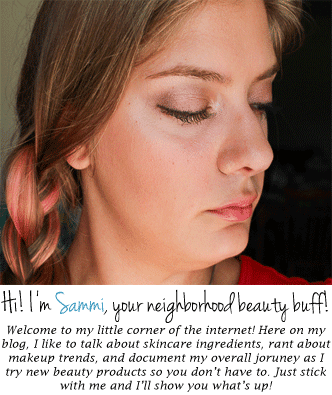 We got makeup from Milani, snacks from Luna and Skinnypop (love me some Skinnypop), a bag and a lip balm from Monthly Gift, a sparkly bracelet from the Little Words Project, hair ties from Forever 21, and so much more. 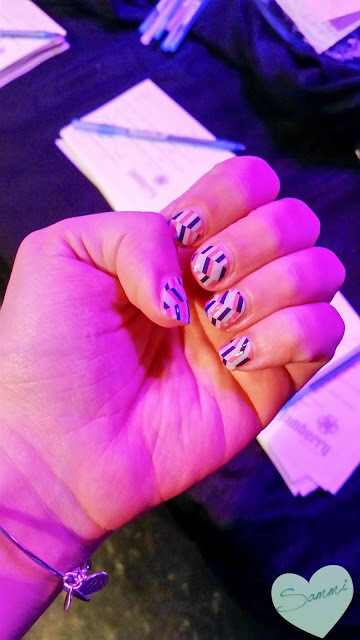 There was even a Jamberry Nail Bar! I had no idea this was going to happen, but we had two vocal performances before the fashion show even began! 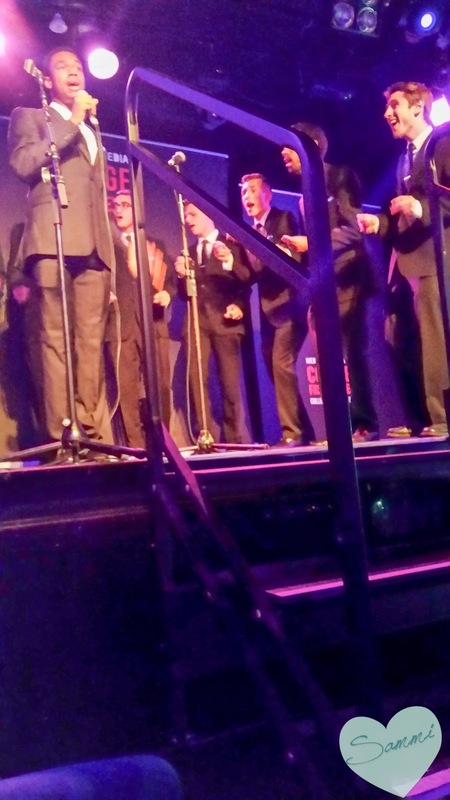 We started off with Columbia SHARP, which is one of the all-male a capella groups at Columbia University. They were so good that Windsor (co-founder of HerCampus and co-host of the event) called for an encore, and they did one more song! They were followed by 18-year-old R&B artist Teenear. I'm not usually a huge R&B fan, but I was really impressed by her! She had two backup dancers that performed choreography with her, and she was really sweet! I can easily see her songs being on the Z-100 or another pop radio station. I'm so glad her CD was included in our goody bags, because I really enjoyed her performance! 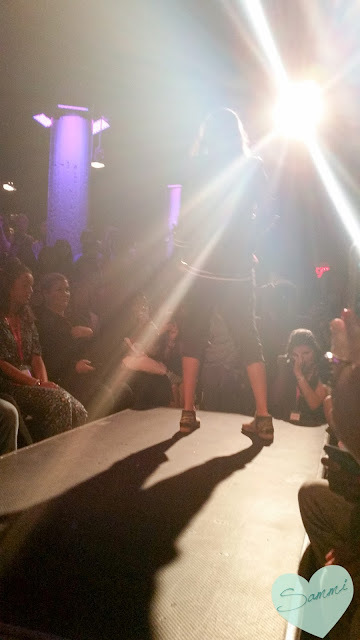 Finally, we got to the fashion show. It was a smooth transition, and there wasn't a lull between the acts, so things never slowed down or got boring. The models were real-live college students (not professional models), so it made everything feel very genuine. They were really great, though! Milani did all of the makeup, and Glamsquad (a company that sends a hairstylist to you) did all of the hairstyling. There were four "scenes" -- 1) Class, 2) Weekend, 3) Date Night, and 4) Party. Even though I'm no longer in college, I could still see myself wearing a lot of these looks. I thought the outfit styling was done very well, so kudos to them! Overall, I had a blast at CFW. It felt so classy and fun, really like a version of New York Fashion Week (NYFW) for college students. It made me realize how much I love fashion shows, and that someday I might want to go to NYFW! If this sounds like something you'd want to see, they're going to be in Washington D.C. and Atlanta this month, so the show's not over yet! For more information, you can check out the CFW website. If you missed the show near you, that's okay--I'm sure they'll be back next year, bigger and better than this one! 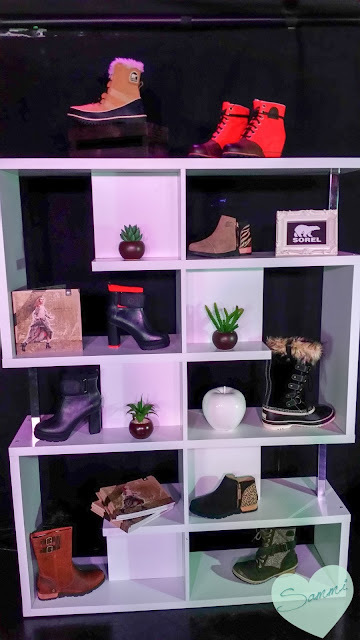 Were you at CFW this weekend? Disclaimer: Not sponsored. No affiliate links.